Home » News » Guillaume Perret is Free! 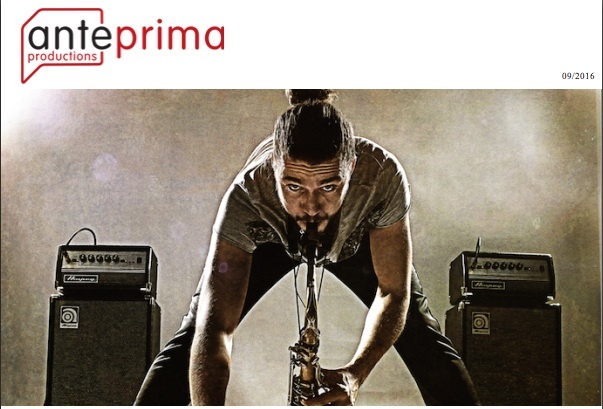 After a tour in Africa, the saxophonist Guillaume Perret will return for a show at le Café de la Danse on November 17th to present his new album "Free" in which he reveals the essence of his music. The choice of this charged word for the title of his new CD will surely nourish the already lively debate on the nature of Guillaume Perret’s brand of jazz. Just what exactly is it, anyway ? « Composed like a film score, FREE is a winding course ranging through various musical landscapes and emotional states », explains the saxophonist, inviting us in for a glimpse of his deepest artistic convictions : « I had to abandon some of the slick licks and sure-fire chops. Hard as that was, it freed my playing up and offered something better - artistic honesty… I don’t need to please an audience to feel confident on stage anymore, and I feel so much freer to play what I want to ». You can also catch Guillaume Perret on October 14th for a showcase at la Cigale during the MaMA Event. Guillaume Perret is available for touring in 2016-2017.